Turkey’s Recep Tayyip Erdoğan and France’s Emmanuel Macron will work together to try to persuade the United States to reconsider its decision to recognise Jerusalem as the capital of Israel, a Turkish presidential source said on Saturday (9 December). The two leaders agreed during a phone call that the move is worrisome for the region, the source said, adding that Turkey and France would make a joint effort to try to reverse the US decision. Erdoğan also spoke on the phone to the presidents of Kazakhstan, Lebanon and Azerbaijan on Saturday regarding the issue, the source said. On Wednesday, he called an urgent meeting of the Organisation of Islamic Cooperation in Turkey next week. On Sunday, Erdoğan lashed out by calling Israel a “terrorist state” and “state that kills children”. Russian President Vladimir Putin will discuss the crisis over Jerusalem on Monday when he meets Erdoğan in Ankara, both sides have confirmed. President Donald Trump’s announcement on Wednesday has upset US allies in the West. At the United Nations, France, Italy, Germany, Britain and Sweden called on the United States to “bring forward detailed proposals for an Israeli-Palestinian settlement”. France has been a supporter of the Palestinian cause. In 2014, the French National Assembly passed a non-binding motion calling on the government to recognise Palestine, but the government has not officially done so. Israeli Prime Minister Benjamin Netanyahu meanwhile visited Europe for his first trip abroad since Trump’s declaration. He met with French President Emmanuel Macron in Paris and plans to hold talks with EU foreign ministers in Brussels. Paris has pointed out in the past its conviction that a two-state solution requires the recognition of Palestine. New protests flared in the Middle East and elsewhere on Sunday over Trump’s declaration of Jerusalem as Israel’s capital. Trump’s announcement on Wednesday has been followed by days of protests and clashes in the Palestinian territories. Four Palestinians were killed either in clashes or from Israeli air strikes in retaliation for rockets fired from the Gaza Strip. Tens of thousands have also protested in Muslim and Arab countries, including Jordan, Turkey, Pakistan and Malaysia. Further protests were held in Lebanon, Indonesia, Egypt and the Palestinian territories on Sunday. Lebanese security forces fired tear gas and water cannons at several hundred demonstrators near the US embassy. Protestors waving Palestinian and Lebanese flags, and sporting black-and-white checked keffiyeh scarves, chanted slogans against Trump, an AFP correspondent at the protest said. Several people were injured by rocks, tear gas, and rubber bullets, the correspondent said. 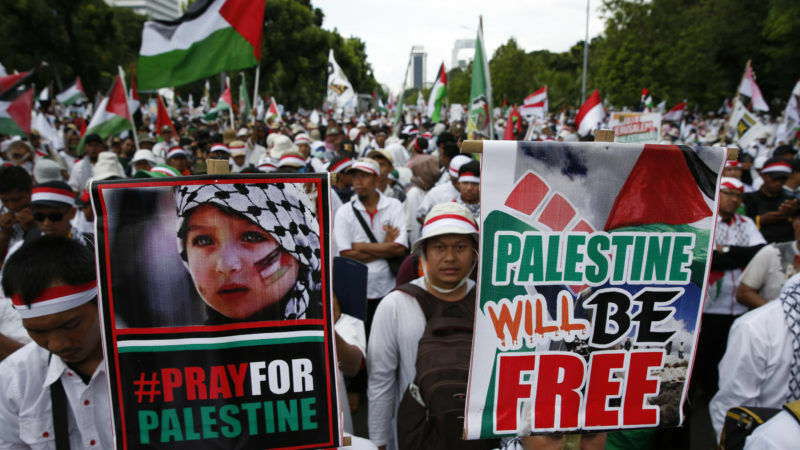 In Jakarta, some 5,000 Indonesians protested in solidarity with the Palestinians, gathering outside the US embassy in the world’s most-populous Muslim country. In Cairo, students and professors demonstrated at the prestigious Al-Azhar University, a university spokesman said, with pictures on social media showing several hundred protesters. Dozens of students protested at two other Cairo universities. A protest and clashes also broke out in Al-Arroub refugee camp in the south of the occupied West Bank, leaving one Palestinian wounded from rubber bullets, the Palestinian health ministry said. Separately, the Israeli military said it destroyed a Hamas tunnel stretching from the Gaza Strip into Israeli territory – an incident unrelated to the recent unrest, but which threatened to further increase tensions. Such tunnels have been used in the past to carry out attacks. Trump’s declaration has been followed by near universal condemnation and diplomatic fallout, with warnings it risks setting off a new round of violence in the turbulent Middle East. US Vice-President Mike Pence is due to visit the region later this month, but Palestinian officials say president Mahmud Abbas will refuse to meet him. Egypt’s Coptic Pope Tawadros II cancelled a meeting with Pence as well, saying Trump’s announcement had failed to take into account the “feelings of millions” of Arabs. Arab League foreign ministers on Saturday called on the United States to rescind the move. Palestinian health officials say more than 1,100 people were wounded from tear gas, rubber bullets, live fire and other means from Thursday to Saturday. There have been fears of a much larger escalation of violence after Hamas leader Ismail Haniya called for a new Palestinian intifada, or uprising. In Rome, Pope Francis called Sunday for “wisdom and prudence”, asking world leaders “to avert a new spiral of violence”. Trump said his defiant move – making good on a 2016 presidential campaign pledge – marked the start of a “new approach” to solving the Israeli-Palestinian conflict. But Washington has found itself increasingly isolated on the global stage. 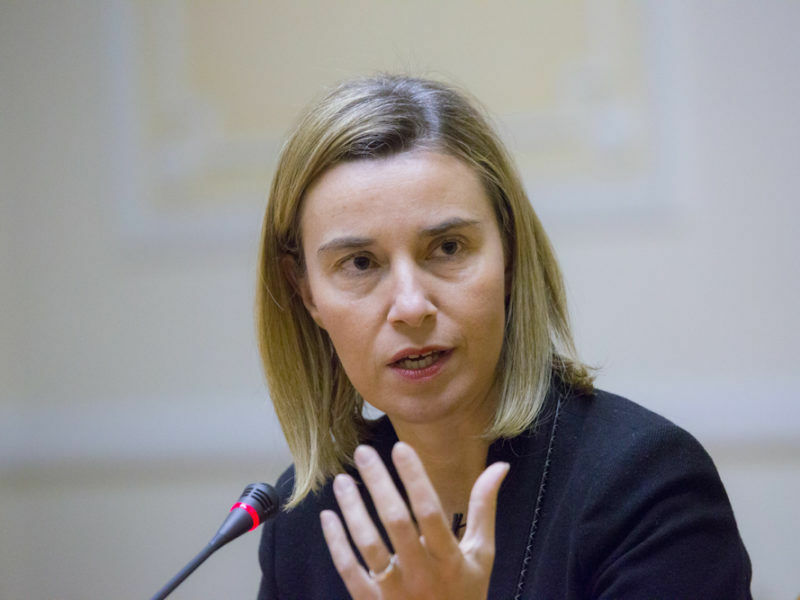 Five European countries on the Security Council insisted the new US policy was inconsistent with past resolutions, including one declaring east Jerusalem to be Israeli-occupied. The UN meeting was largely symbolic as no vote on a resolution was planned because the US wields veto power. The decision is likely to impact domestic Palestinian politics, particularly between Abbas’s Fatah and the Islamist Hamas, now at a key stage in a fragile reconciliation process after a decade of bitter enmity. Hamas, which violently seized Gaza from Fatah in 2007, is due to formally hand back power on Sunday. Hamas spokesman Fawzi Barhum said Saturday the group “reiterated its commitment to all that has been signed and agreed upon and the completion of the handover”.